Is IB more Difficult than AP? What Does this Mean for an International Student? Students can consider two internationally recognized high school course tracks as they prepare for college in the United States. International students planning to attend undergraduate programs in the U.S. are often concerned about which is the best path. Which is the most impressive? And which is most difficult? Asking the right questions is critical to logical thinking. International Baccalaureate (IB) programs are designed for students up to age 19, and they focus on fostering independent, critical-thinking skills. IB curricula are available in 5,000 schools and over 150 countries globally. AP (Advanced Placement) was developed in North America by U.S. and Canadian college boards. It has long been the established standard for U.S. high school students wanting more academically challenging courses than standard curricula. More than 100 countries now offer AP courses and exams. Students may focus on AP classes in specific areas: math and science, for example. Alexandra Pannoni says, “AP courses tend to focus intensively on a particular subject, while IB courses take a more holistic approach.” AP classes deeply examine an issue from multiple perspectives. In an IB class, you might be looking at the same issue, but may scrutinize its long-term implications from a global perspective. You could earn college credit with AP and IB exams. This means you’ll save money by not being required to take some classes at the undergraduate level. But to take the IB exam, you must be enrolled in an IB class. You can take an AP exam without taking its class equivalent. AP classes are usually taught at a college level. AP classes reinforce your choice of major and/or minor. High scores on tests demonstrate advanced skills in your subject of interest. Because the schedule is so rigorous, it usually impresses college admissions professionals. In 2017, the most taken AP exam was English Language and Composition with 579,426 students. Many high schools give extra weight to AP grades when calculating your GPA. Taking an AP class and getting a B is often a better choice than getting an A in a regular course. The AP agenda can improve study skills and time management, both of which are essential for success in college. Universities and colleges may give credits if you get a minimum score of 3 on an AP test. Community service and a research paper are IB program requirements. High schoolers can take a standard set of courses and corresponding assessments during the IB program. IB programs are offered in English, French, and Spanish. IB students can earn an IB diploma, which is recognized by universities and colleges worldwide. IB’s global educational philosophy works well for international students. If you’re not interested in the IB diploma program, you can pick and choose IB courses just like students in the AP program. You must score three or higher on your AP class final exam. You should be enrolled in the IB program plus complete the 4,000-word Extended Essay and 150 hours CAS (creativity, activity, service) requirements. Internal Assessments must be passed and you need a score of 4/7 to pass IB exams. Are you interested in studying abroad? 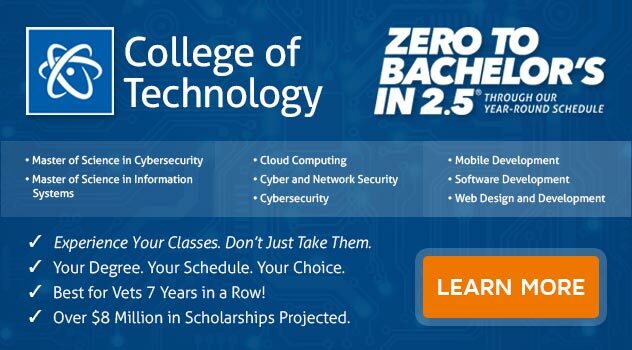 If you want to study technology, health science, business, or more, consider ECPI University. For more information on this exciting program, connect with a helpful admissions counselor today.